If you are a blogger, you should remember "Blogging is a profession for smart workers". Because we should think in a smart way to make our blog to get some real followers. Most of the bloggers work day and night when they start their blogging career, but soon they will lose interest and leave the blogging profession before they smell the success of blogging. Because it is all about smart work other than hard work. Only a few bloggers will succeed in this profession because of their smart works in SEO. You might be a good writer, but it is not an only qualification needed to succeed in blogging profession. I can say only a few bloggers are succeeding and making thousands of dollars. Because they take blogging as a passion and they really know how to manage the readers using their effective knowledge. Blogging will help you to make money and get success in life. But you should work in a serious and genuine way to reach highs. You can find uncountable blogs on the internet, but few only have quality information and fulfill the reader's search. Your blog should be one amongst them and it should provide the right information what users searching for. Blogging is the best opportunity for us to convert our knowledge into money. If we write something interesting topic on our blog that users don't know, it will make money. This is the one of the simple logic you should follow throughout your blogging career. In this post, I am covering all the necessary and basic information for a newbie or unsuccessful blogger who really wants to become a successful blogger. 1. They don't take blogging as a serious profession. 2. Lack of knowledge about the topics they are writing. 3. Spelling, grammar, and copied contents(Plagiarism). 4. SEO is not properly done. We can differentiate blogging into two types, Professional and Part time blogging. Professional bloggers have much more responsibility than part-time blogger because they run their life by depending on blog's earnings. If they make mistakes, it will affect their living life. So they should give more concentration and importance to their blog. Always think that we are the content creators and our articles are going to be watched by the people from various countries and they may be going to be our regular followers. So do blogging carefully. If you are a part-time blogger then you may work for some companies or already in some other good job. So you are not completely depending on blog earnings to live your life. So you are in the risk-free path and in the safe zone. But you should strictly follow the procedures what professional bloggers do to maintain the competition on search engines to make some money using their blog. Before starting an article you should refer some blogs or websites on the topic we are going to write. We cannot open the blog and write until we did not understand what the topic is. I am listing few websites that will really help you to learn the topics. 1. Google Books: Plenty of Ebooks are available on this Google book search engine. You can search and find the Ebooks according to the need of your topic. This will be a good reference for your new article. 2. Wikipedia: You may already know about this giant site. I can say Wikipedia is a great source for finding genuine information and you can find whatever topics you need from it. 3. Google Scholar: You can find more research papers, articles from this website and if you want to write deeply about research topics then you should consider this website as a great source. Some other websites I can prefer for you is archive.org and Google public data. After gaining enough knowledge about the niche you can start writing for your blog. But you should strictly follow some procedures to make your articles more impressive to visitors and search engine. This is the second and most important thing you should follow while writing an article and we should properly use the keywords. Because keywords will indicate the search engine that what is your topic about. Using a keyword, search engines will identify your content and list it to users who are searching for the keyword which highlights on your blog. SEO experts use the keywords as a marketing strategy on search engines to generate traffic to their blog. 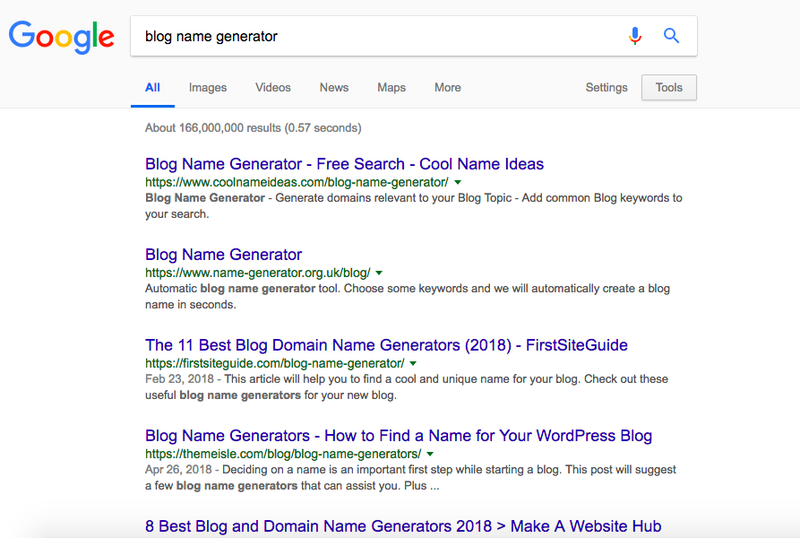 For example, if a user search for "Blog Name Generator" then google search engine will look for the blogs and websites which wrote about the topic using the keyword "Blog Name Generator" and list it to the searchers. You can differentiate keywords as two types, 1. High Competition keyword and low competition keyword. 1. High Competition Keyword: You should not choose these type of keywords in your article. because already many high ranked sites written the articles on the same topic and their pages are ranked top on the search engine. It is very difficult to beat those blogs and come up with search engine ranking. 2. Low Competition Keyword: These type of keywords will help you to rank high on search engines faster. Because there are only a few contents are exist on the search engine. So you have a great opportunity to succeed using low competition keyword. You should decide and choose a keyword with low competition before you start writing. Digital marketers use keyword tools to find the keyword which is low on competition. Here I am sharing two best keyword finding tools for you to find low competition keyword. 1. Kwfinder: From this website, you can find the keyword competition. Just enter a two or three-word keywords and hit find keywords. It will show the results of the specific keyword that you have entered and it will show the related keywords and its competition in the search engine. Out of 100, it will show the possible difficulty according to the calculation of higher ranked sites on that keyword. 2. Google Keyword Planner: This tool was introduced by Google for advertisers to target and find the users advertising their brands or products. But we can also use it to find the competition of keywords and this is absolutely a free service. So make use of this best google keyword analyzing tool. these keywords are short tail keywords because all are less than 3 words. But mostly these type of keywords will be with high competition and hard to compete with. So we should concentrate on long tail keywords. Long Tail Keywords: A Keyword with more than 4 words is known as the long tail keyword. If we use these type of keywords, it will be more effective in the search engine. 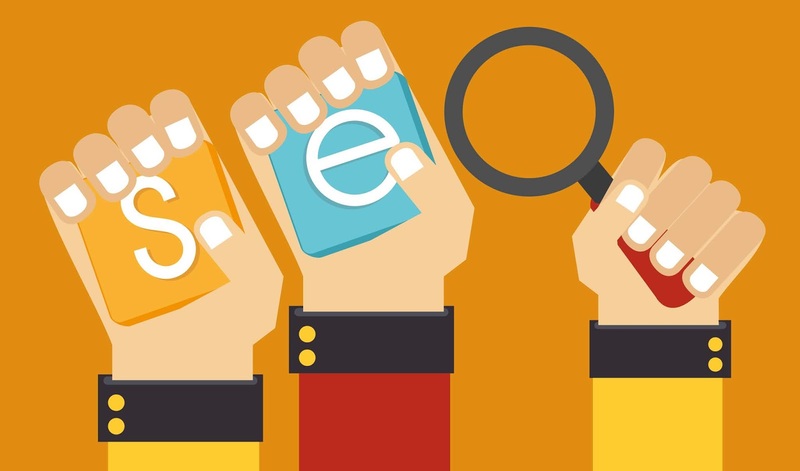 So you should consider using these keywords for better rankings. 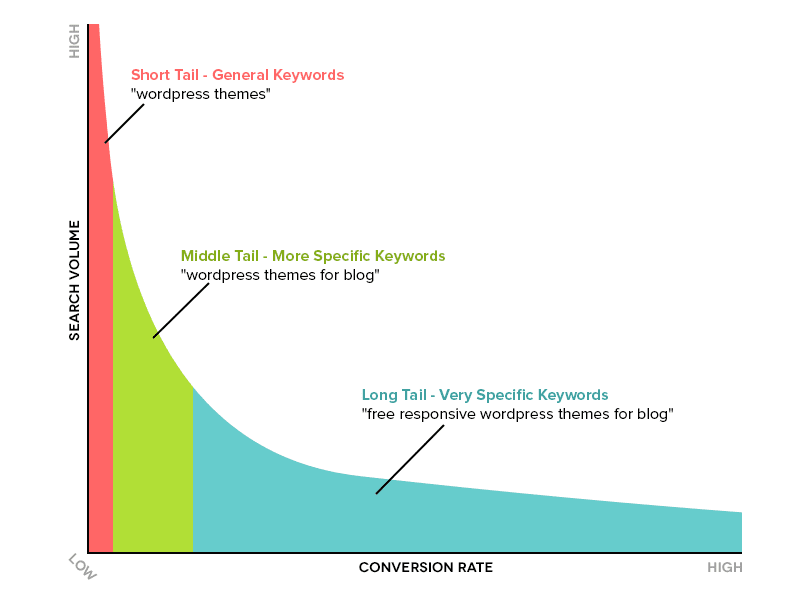 Users searches will be low on long tail keywords compared to short tail keywords but conversion rate will be good and it can give you constant traffic to your blog because of low competition. You should choose a catchy title with your main keyword on it and it should attract search engine users and have to make them click on the title when they see it on the search engine. So optimizing a blog title is also a most important factor for generating huge traffic. Keyword on a title will let search engine to know what your blog post is about. So just add your main keyword on the title if your blog really wants to get more visibility on the search engine. We should keep our blog post more search engine friendly. For doing this you should follow 5 simple procedures. Images Optimization: Try to add your keyword as images alt tag. Because your blog's images can also bring traffic from the google images search. So add alt tags and optimize your images properly. Link other Blogs as Reference: Just add one or two other relevant blog posts links as a reference to your post. It will make the search engine to think our blog post as most relevant content. Interlink Your Articles: You should interlink the relevant previous articles as much as you can to the new post. It is the best way to optimize your blog post. Search engines hate copied contents and it will give first priority for the original contents so you should not include any copied contents on the blog post. And plagiarism contents may hurt your blog ranking when Google panda identify it and you may face sudden traffic change(traffic decreases). So you should aware of the plagiarism contents. Try to avoid spelling and grammar mistakes when you write a blog because it will negatively affect your rankings. Content should be clean without any errors. Google Panda is a hidden algorithm which is designed by Google to find and filter the low-quality sites. If your blog has plagiarism or low-quality contents then it will easily get caught by Google panda. 1. Dofollow backlinks are more effective than Nofollow backlinks and it will give more strength to your blog. Google Penguin considers Dofollow links for a blog to rank it. 2. Nofollow Backlinks are not considered for ranking a blog, but it will also be needed to make your Dofollow links to look natural. If we build a number of Dofollow links without Nofollow links then it will be easy for Google penguin to identify that backlinks are build in an unnatural way. So it may harm your blog. So we should build both Dofollow and Nofollow links. Links which was built from the new and unreputed sites are known as low-quality sites. 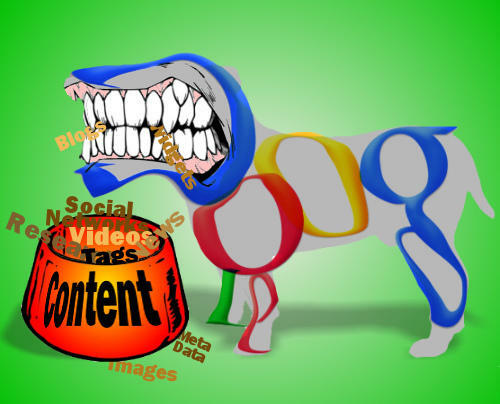 Links from the highly ranked or reputed sites on the search engine is known as high-quality backlinks. You should avoid building backlinks from low-quality sites because it will reduce your ranking too. So concentrate on High-quality backlinks. Google Penguin: It is an algorithm for finding unnaturally build spammy links and low-quality links. So if your blog gets caught by Google penguin then it will be penalized. Just apply for Adsense using your blog because it is top-ranked highly paying CPC advertisement company which is owned by Google. You can make earnings when the users click the advertisement which is displayed on your blog. Already a number of bloggers are making money from Adsense. So monetize it on your blog. Constantly sharing articles on facebook or twitter will grow your audiences and give some regular readers to your blog. You can also check your trust rank and citation rank on majestic.com. If you have more trust flow rank then it shows your site is the trustful site. Please read 5 tips to Increase Trust Flow post to know more about it. Domain Authority is another algorithm developed by moz.com to allow you to know how your blog is going to perform on search engines. Moz.com considers more factors to give domain authority ranking. These are some latest and best SEO tips everyone should follow if you really want to succeed in blogging. Keep blogging and don't give up.